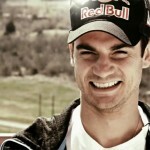 Dani Pedrosa has decided to have a third surgery to attempt to fix arm pump issues. 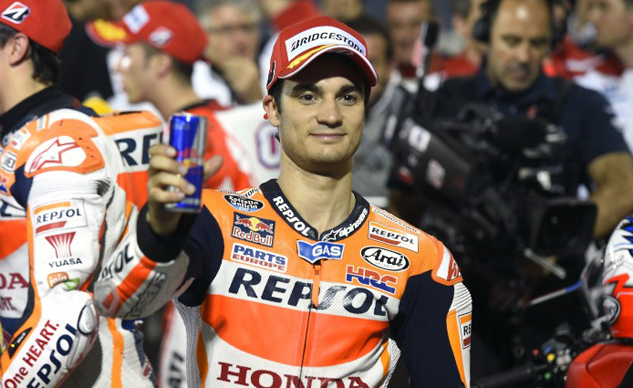 After revealing he suffered from severe arm pump during the MotoGP season opener at Qatar, Dani Pedrosa was unsure what his options were. Having already had two prior surgeries to try and relieve the issue, the procedures failed to work. 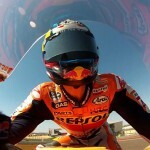 After the race, he returned home to Spain and again consulted with doctors. Their recommendation was for him to undergo surgery as soon as possible, which Dr. Angel Villamor will perform in Madrid. Special attention will be paid to the closing of the wound as this will guarantee better recovery and less risk of the problem arising again in the future. Surgery is planned for the morning of Friday 3rd April with an expected recovery time of four to six weeks, this means Dani will certainly miss the Red Bull Austin and Argentina races. 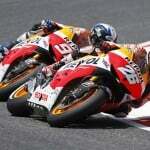 His return to racing won’t be confirmed until doctors can ascertain the success of the surgery.